Did you know that everyone in New Jersey lives in a Flood zone and just 6 inches of water in your home can cause over $25,000 in damage to your structure and belongings? 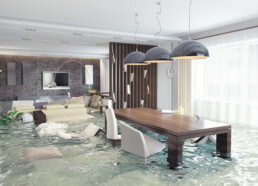 Flood coverage is not included in homeowners nor business insurance policies. It must be purchased separately. Property owners in New Jersey should be aware of this. Between hurricanes, vicious summer storms and three ocean borders New Jersey’s properties are much more at risk for flood damage. Nearly 1 in 4 claims come from homeowners not required to carry flood insurance. Just because it is not required, does not mean it is not a good idea to buy it! New Jersey’s properties are much more at risk for flood damage. You may have a 30 day waiting period before coverage takes effect – so call us or fill out the request a quote form today to get the process started! © Copyright 2019 Harrah & Associates Inc.